There's never been a better time to pick up a great Android phone. Update 11/24: The $400 Best buy sale has ended but the retailer is still selling the Pixel 3 and 3XL for $200 off. Best Buy has the best deal of all on the Pixel 3 and 3 XL. We don't know how long it's going to last, but you can get any color or capacity of the Pixel 3 for $400 offRemove non-product link, provided you activate it through Verizon and agree to a 24-month zero-interest payment plan. That means you're getting the 64GB Pixel 3 for half off! Some models are already sold out but several are still available. After running BOGO deals leading up to Black Friday, Google is offering a rare discount on single purchases of the Pixel 3 and Pixel through its official store. Through Cyber Monday, you can take $150 off the Pixel 3 and $200 off the Pixel 3 XLRemove non-product link, bringing them down to $649 and $699, respectively. Those prices are good on the Verizon, Project Fi, and unlocked models. Best Buy is getting in on the Pixel 3 fun too. You'll save $200 on all sizes and capacities of the Pixel 3Remove non-product link, provided you activate it through Verizon first. Target is also selling the Pixel 3 and 3XL at a discount. Like Best Buy, you'll need to activate the phone with Verizon to get it. And it's not cash back—Target will give buyers a $200 gift card with any Pixel 3 purchaseRemove non-product link through Sunday. If you want a Galaxy Note 9, there's never been a better time to grab one. For starters, Target is handing out $300 gift cards with any Note 9 purchaseRemove non-product link that's activated on Verizon or AT&T. and Sprint customers get $300 offRemove non-product link. To secure each deal you'll need to activate your new Note on the appropriate carrier, and Verizon, AT&T, and Sprint all require 24-month payment plans as well. 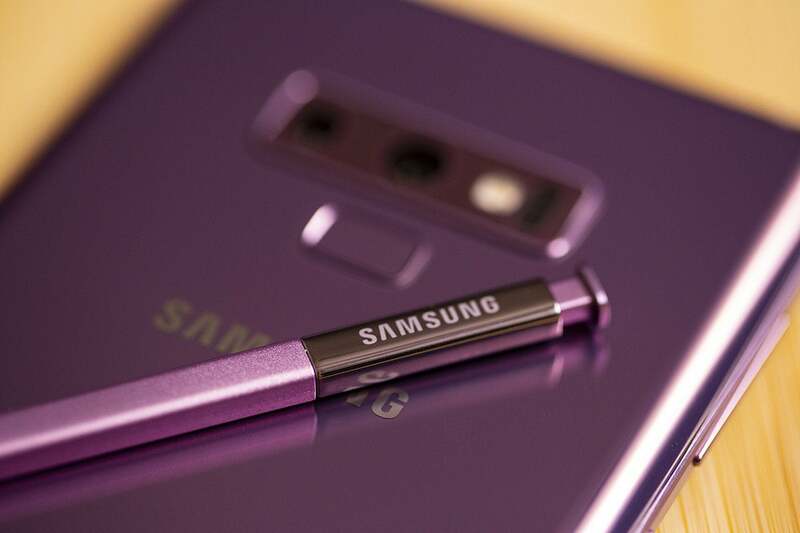 If you buy an unlocked Note 9 through Samsung, you'll save $200. Finally AmazonRemove non-product link, WalmartRemove non-product link, Best BuyRemove non-product link, and B&H PhotoRemove non-product link will also knock $200 off either unlocked Note 9 model, so no matter where you shop this Black Friday, you'll be getting a great price. Amazon is also taking $200 off the price of an unlocked 64GB Galaxy S9 or S9+Remove non-product link, as are WalmartRemove non-product link, Best BuyRemove non-product link, and B&H PhotoRemove non-product link. Verizon is taking $200 off the price of the LG V40 ThinQRemove non-product link with 24-month financing. If you add a new line or switch from another carrier, Verizon will throw in an extra $100 in savings. You can also get an unlocked G7 from B&H Photo for $220 off, bringing the price down to $530Remove non-product link. If you're OK with a year-old phone, the Pixel 2 XL is available at Best Buy for $400 offRemove non-product link, as long as you agree to pay it over the course of 24 months and activate it through Verizon. You'll still get many of the Pixel 3 XL's best features, including Night Sight and Call Screen.